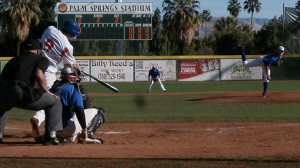 The first leg of a triple header featured an outstanding pitching performance by the Palm Springs POWER (8-2-1) against the Washington Bluesox (4-6-1). Clayton Vanderlaan pitched a complete game allowing just three hits while striking out ten. Ryan Van Amburg hit a solo home run in the first inning, second inning Marquis Riley drove in an RBI on a two bagger, third inning Jake Luce hit a two run home run to right field. Fourth inning Jake Luce continued his hot day with a two RBI single and Daniel Yancelson added a two RBI double as the POWER sting the Bluesox 8-3. In the second leg of a triple header, the Coachella Valley Snowbirds (10-1) continue to sparkle as four pitchers combine to throw a six-hit shutout of the Oregon Lumberjacks (6-5). Michael Durham went 1 for 2 with an RBI single in the fourth inning. Robert Benedict continued his hot swinging finishing the day three for three with one RBI. Relly Mercurio added a sacrifice fly RBI as the Snowbirds fly past the Jacks 10-1. 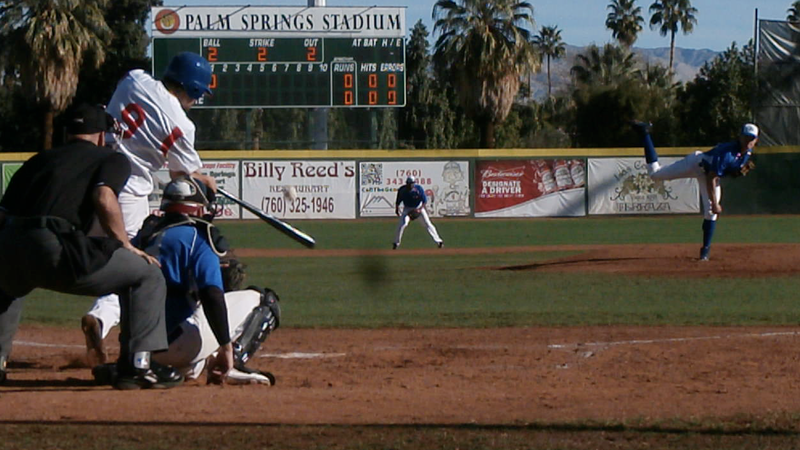 The last leg of the triple header featured the Canada A’s (3-8) swinging a hot stick plating eleven runs in the third game of the day against the Palm Desert Coyotes (4-7). Zach Dandrea started the offensive onslaught in the second inning with a two run home run, Aaron Bauman slammed an RBI double in the third inning that was followed by an Adam Conner RBI single. The third inning plated six runs for the A’s including a two RBI double from the bat of Steven Perotta. In the fifth, Robert Dimperio sent two runs home with a single to help the A’s topple the Coyotes 11-7.